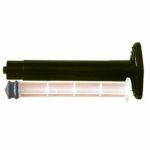 Jensen Global 3 cc manual assembled syringe consists of a barrel, stopper, and plunger for manual deposit of materials. Assembled manual syringe components are ready to use and work with all Jensen Global dispensing tips. 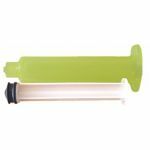 The size of the syringe is measured in cc’s or ml's and we offer them with or without print (calibrations). Purchase Jensen Global 3 cc Manual Syringes Today!